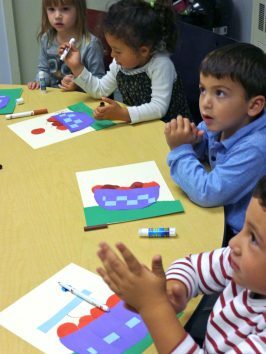 The Deutsches Haus Children’s Program is designed for children with at least one German-speaking parent. 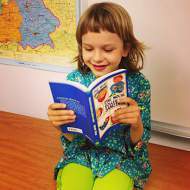 It caters to toddlers, Pre-K, elementary school and middle school children, furthering their acquisition of the German language. Raising children to be bilingual can be difficult; without a group of bilingual peers, children may find the second language frustrating. Deutsches Haus provides an exciting alternative with lessons modeled on those of the German school system. Please click here for class descriptions and registration details. The staff holds Parent Teacher Conferences every semester to update families on classroom activities and individual students’ progress. We pride ourselves on creating a sense of community among families with a shared interest in German, Austrian, and Swiss culture. We complement these lessons with a variety of cultural experiences, including a German Kasperltheater, a St. Martin lantern parade, and celebrations for both St. Nikolaus and Easter. Please click here for more details on our cultural events for children. 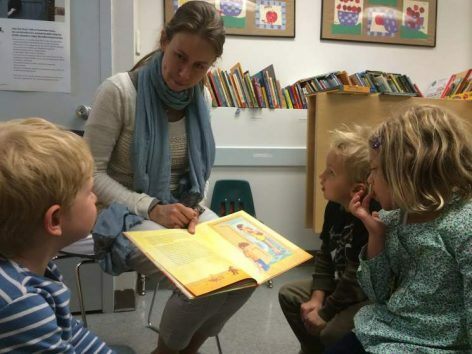 These classes will allow children who speak German at home to further their language acquisition. Depending on the age group, children focus on reading and writing, grammar, and expanding vocabulary. Additionally, during the summer, we offer a children’s book club. All our classes are for bilingual children. Please note that classes are held in German. Classes run once a week for 60 minutes. If you are not certain which class is best for your child, please contact Chantal Burkhard. To register, please click here. Your registration automatically enrolls you in the class. You will receive an automated payment confirmation as well as a registration confirmation. This class focuses on conversation. A strong literary component also ensures that the students not only listen, speak and play in German, but read and write, as well as work on grammar. The topics are chosen according to children’s interests to provide a fun yet educational environment similar to schools in Germany. Deutsches Haus is New York’s leading institution for the culture and language of the German-speaking world. Located in the historic Greenwich Village district, Deutsches Haus is an integral part of New York University. Since 1977, it has provided New Yorkers with a unique forum for cultural, intellectual, and artistic exchange with Germany, Austria, and Switzerland through its three pillars: the language program, the cultural program, and the children’s program. 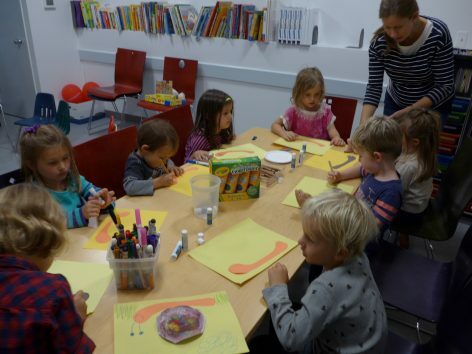 Children Deutsches Haus offers fun classes and educational activities for children, including the celebration of traditional festivities around St. Martin, St. Nicholas, Carnival, and Easter. 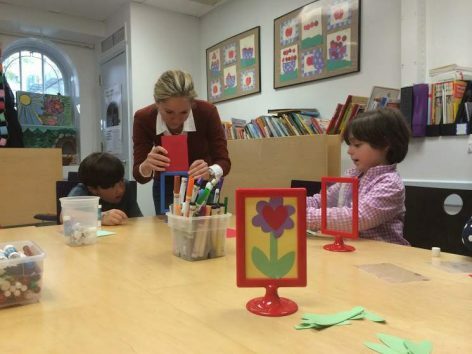 The children’s program has and continues to create a sense of community among families who share an interest in German, Austrian, and Swiss culture.